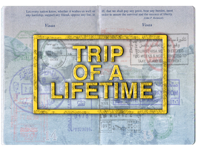 Grafton Street readies new series format for U.S.
“Trip of a Lifetime” is a new one-hour reality series that turns wish fulfillment television on its head, and changes people's lives forever. “Stars and Strikes,” the updated and refreshed 70’s hit “Celebrity Bowling,” heads to NATPE. Syndicator MG Perin is bringing the new bowling series to NATPE and is offering the series as a daily half-hour strip or as a weekly one-hour. Jonathan Drubner, ESPN, hosts this new version where your favorite celebrities come to chat and do some serious bowling. Comedian Flavor Flav and Playmate Brandi Roderick bowled in the pilot.